Dyschromatosis symmetrica hereditaria (DSH) is a rare autosomal dominant pigmentary genodermatosis, which is characterized by a mixture of hyperpigmented and hypopigmented macules on the dorsal of the hands and feet, and on the face presented like freckle. Identification of RNA-specific adenosine deaminase 1 (ADAR1) gene results in DSH. 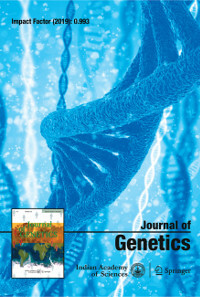 This study was mainlyto explore the pathogenic mutation of ADAR1 gene and provide genetics counselling and prenatal diagnostic testing for childbearing individuals.Mutational analysis of ADAR1 gene was performed by polymerase chain reaction (PCR) and electrophoretic separation of PCR products by 1.5% agarose gel electrophoresis. The coding exons and intron/exon flanking regions followed by bidirectionalsequencing was performed on all participants. In this study, we found that a 28 year-old male patient harbouring a deleterious substitution of Leu1052Pro in the ADAR1 gene in a typical DSH family. His mother suffered from the DSH also owns the same mutation. This mutation, however, is not identified in the unaffected members in this family and those 200 normal controls. In summary, this new mutation Leu1052Pro reported here is pathogenic and detrimental for DSH. Our finding not only enriches mutation database and contributes to dissecting further the correlation between mutation position and phenotypical features ofDSH, but also provides genetics counselling and prenatal diagnostic testing for childbearing couple.